The major goal and planning objective for this complex was to provide contemporary and more dignified housing to the economically challenged population experiencing homelessness and a building that fits into the urban context from a design and programming standpoint. 65 affordable housing units for individuals with annual incomes between 30% and 40% of San Diego Area Median Income. This complex is the first building in the region, if not the country, to incorporate all 3 on one site. 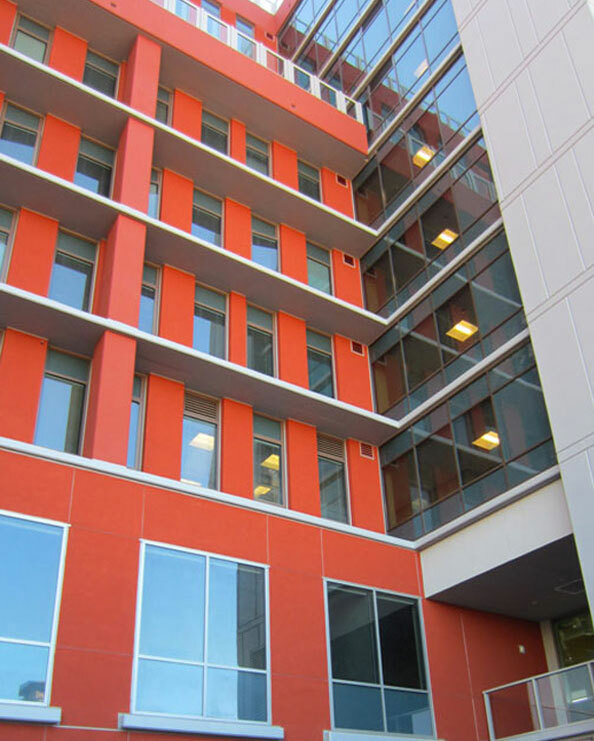 The building design blends colored panels, concrete and painted stucco, surfaces that match the colorful context of the project. 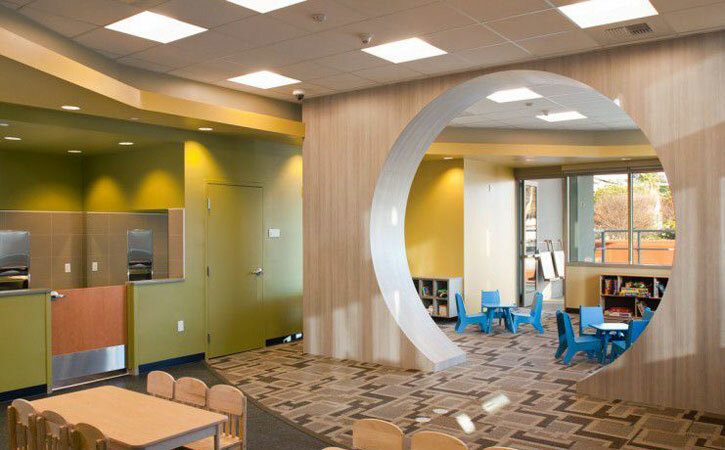 Large windows provide views and flood the daycare center with natural light. 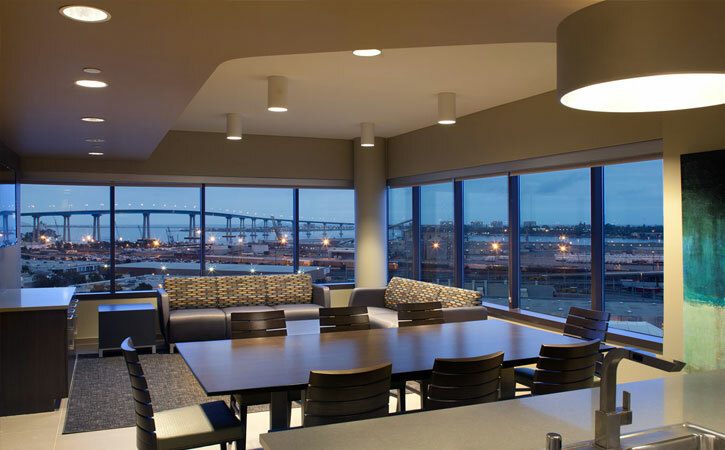 Exterior sunscreens protect occupied spaces from intense sunlight, reduce solar heat gain and allow natural light to penetrate deeper into the building interior. Spacious exterior balconies and large terraces provide venues for outdoor activities. The project achieved GreenPoint Rated status.